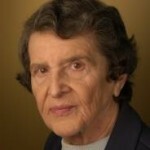 Longtime ASPA member and dedicated practitioner Rosslyn (Roz) Kleeman passed away this July. Kleeman’s dedication to public service was well known, leading ASPA and the National Academy of Public Administration (NAPA) to rename its award recognizing individuals whose contributions to public service extend well beyond their full-time professional retirement. The Keeper of the Flame Award honors Kleeman’s continuous contributions to the field. She served as director of the General Government Division of what is now the Government Accountability Office and served under several administrations including President Clinton. She also served as an executive in residence for The George Washington University School of Public Policy and Public Administration. Friends and colleagues are invited to submit a tribute about Roz for publication in the next print edition of PA TIMES. Send your submission by email to Melissa Williams, Editor-In-Chief, at [email protected].